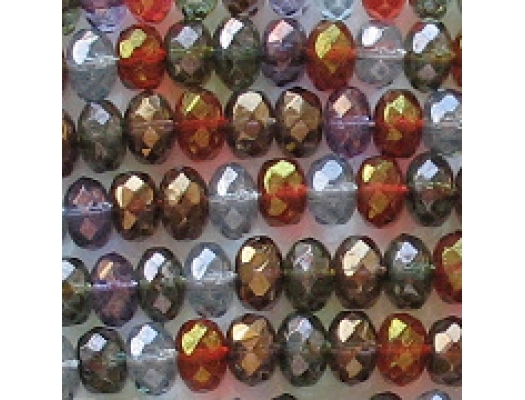 4mm (from hole to hole) x 7mm (wide) rondelles with facets around the outer edge. 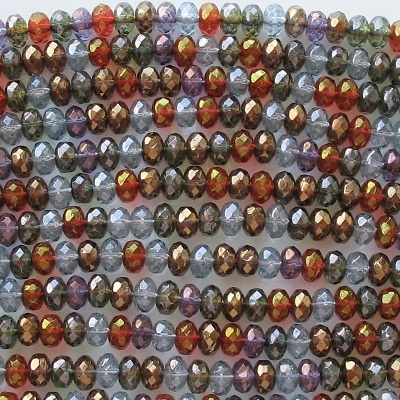 A rondelle is a round bead which is wider than it is long (or thick). 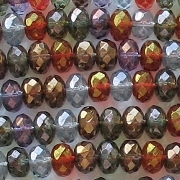 A mixture of translucent colors with luster or gold-luster coatings. To me they appear to be: light blue with luster coating, light amethyst purple with luster coating, bright red with gold-luster coating, green with gold-luster coating, and possibly brown with gold-luster coating.